When I was asked if a photo I had taken could be used for a flyer to let day laborers living in and around Los Angeles know about a bike riding safety program on 18 August 2012, there was no hesitation. Human beings riding bikes to feed their families, themselves, and all of our families living in the U.S. (unless you grow all of your own food) should do so in a safe manner. 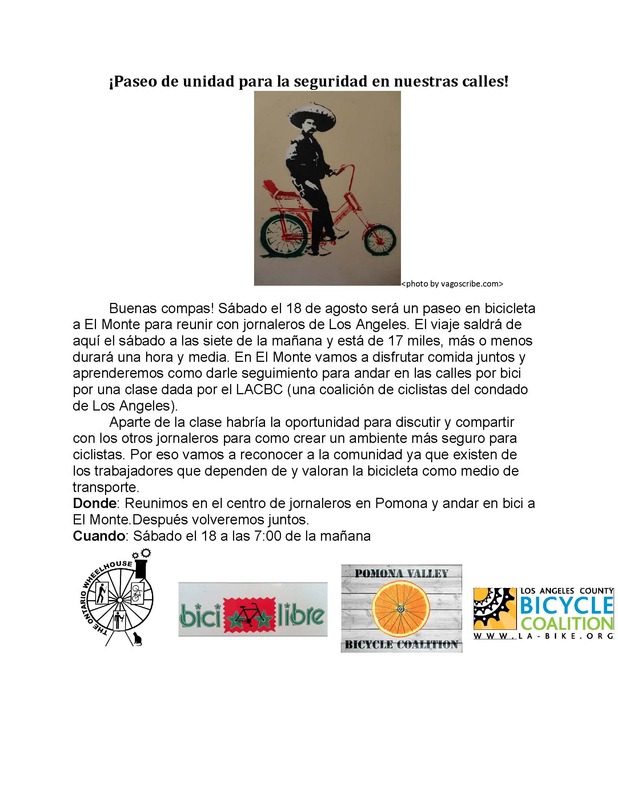 Much thanks to The Ontario Wheelhouse, bici libre, Pomona Valley Bicycle Coalition, and Los Angeles County Bicycle Coalition for doing this important work.